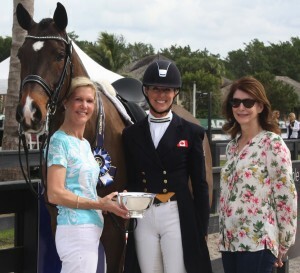 Wellington, FL (January 30, 2015)— The third week of the 2015 Adequan Global Dressage Festival, which ran January 22-25 in Wellington, Florida, was the largest competition that the show series has ever hosted. 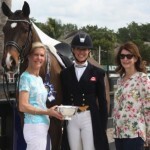 With a sixty-one percent increase in international rider combinations and a twelve percent increase in national competition entries from week one, week three of the competition was a truly spectacular week — and one that holds special significance for international dressage rider Shannon Dueck. Dueck became the most recent winner of Ann-Louise Cook’s People’s Choice Award.